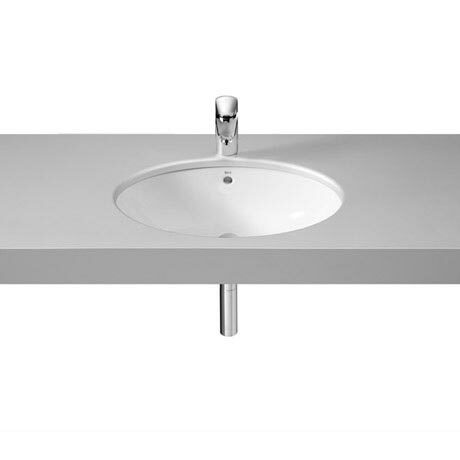 The Grand Berna 620mm under countertop basin from the Roca's range of luxury bathroom pottery. Chracterised by it's spaciousness design this basin has been manufactured from quality vitreous china with a stunning white gloss finish. Designed to be used alongside a counter mounted or wall mounted tap. Comes with 25 year guarantee.